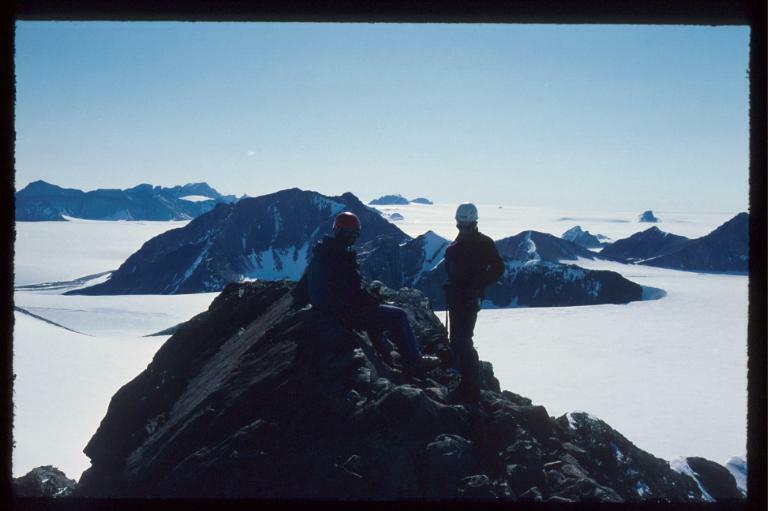 How to get there: The summit is located at 76.21.783 north, 26.10.383 west, this is a GPS measurement at the summit. 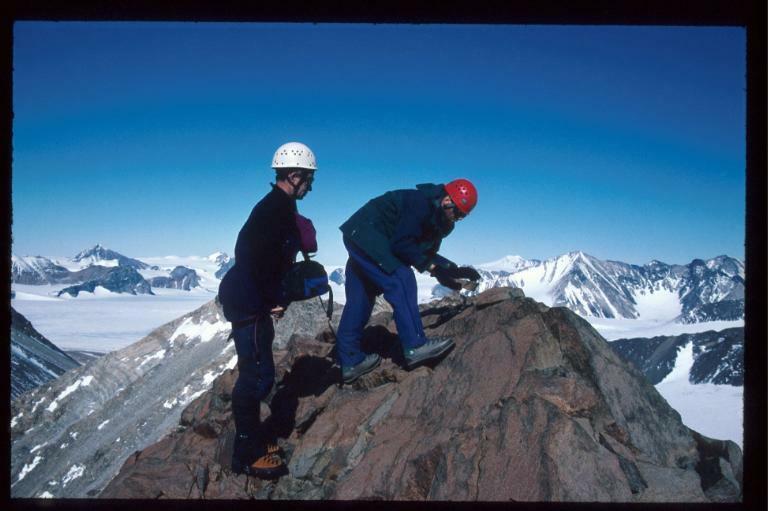 Route description: Access from the col between this mountain and Mallory Fjeld. 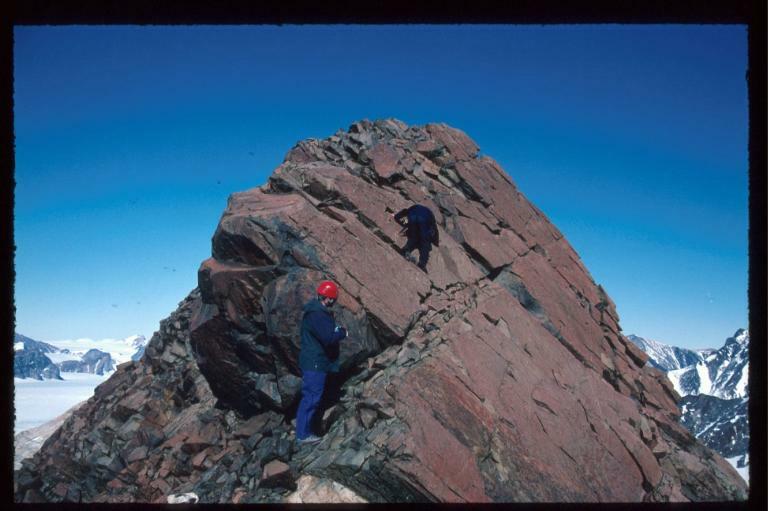 The final rock summit requires some easy, but slightly exposed climbing on good (red) rock. Comments: This was a first ascent, a cairn (in honor of the old cook) was built. The view from here was quite memorable. Building the Old Cook's Cairn. The summit of Old Cook's Cairn, the view is south. The crux on climbing Old Cook's Cairn, there is substantial exposure.